This home made naan bread recipe is so easy to make. Check out this step by step guide to show you how, in just over an hour, you could be scooping out your favourite curry with this healthier alternative. Made by using Greek yogurt and no butter/ghee, you’ll never want to go back to shop bought or unhealthier versions once you’ve made this! Hey folks this is Lady Lynne and I just back from our summer break to Cornwall. We had a truly amazing time and I can’t wait to bring you some of the highlights next week. 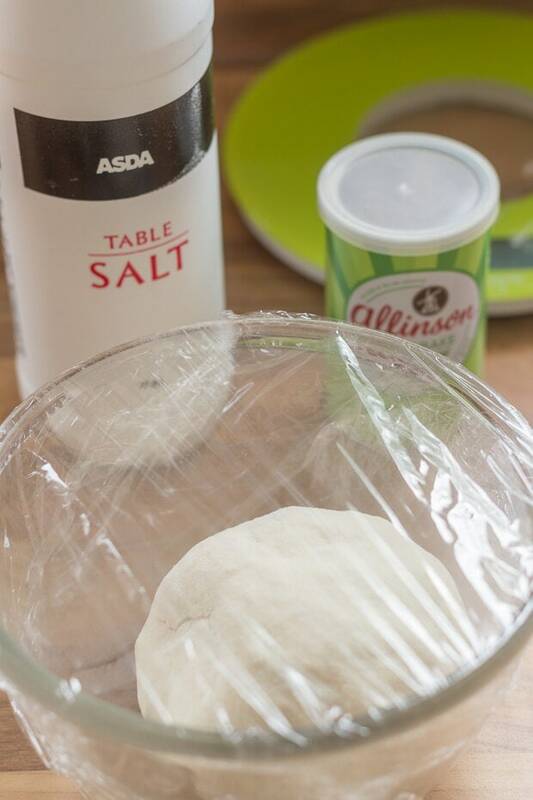 But today, as the first of two new recipes this week, I’m bringing you my really simple home made naan bread recipe. The reason being, you’re going to need this delicious home made naan bread recipe to go with the new healthy paneer and chick pea curry recipe I’ve got for you on Thursday. 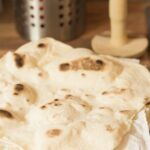 I first brought you this home made naan bread recipe way back when I started this blog combined in the lamb rogan josh and home made naan breads recipe. This is such a good recipe not to have a single post of it’s own and an easy step by step guide. I make it every Sunday when we enjoy a home made curry! First, start by assembling all of the home made naan bread ingredients. Then, in a medium sized bowl combine the two flours, salt, yeast and no fat yogurt / water mixture together. You can do the whole mixing process by hand, or with a stand mixer. 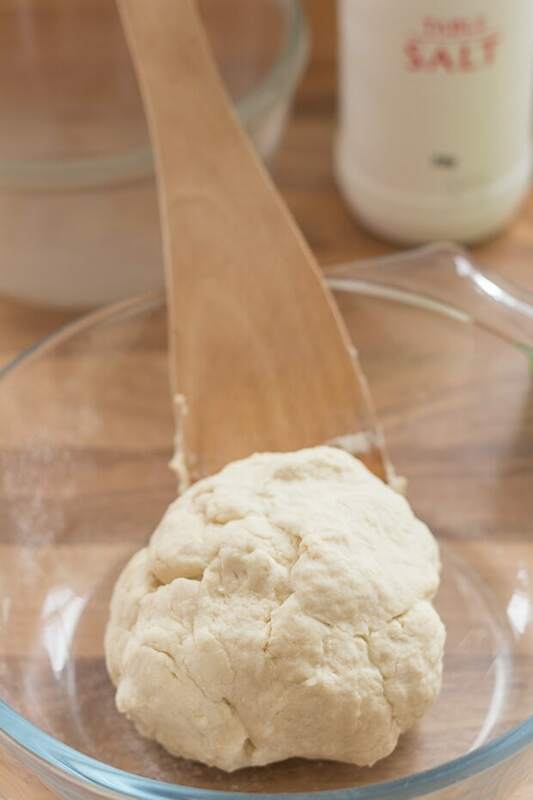 Mix the ingredients together to form a dough ball. 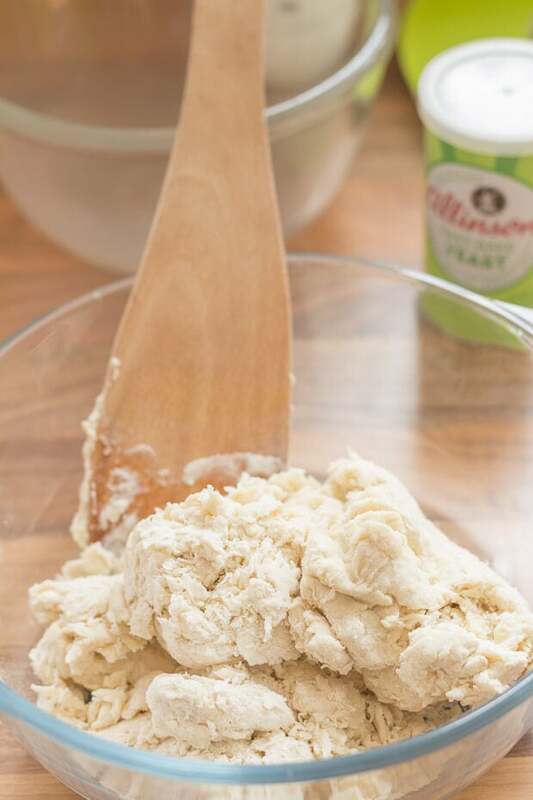 Once combined, place the dough ball on a floured surface and knead briefly. 1 minute here will do. 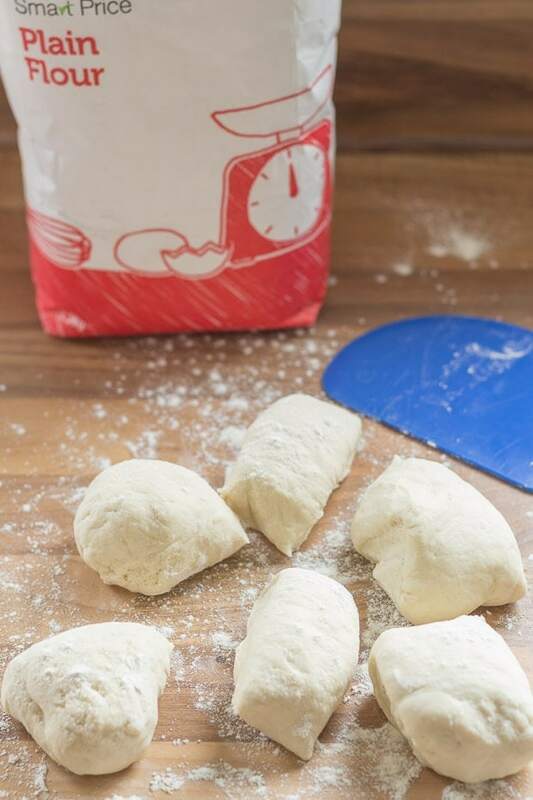 Then re-shape into a dough ball, coat in a light dusting of plain flour, place in a clean bowl and cover with clingfilm to rest for one hour. After an hour, cut the home made naan bread dough up into 6 pieces and roll into 6 equal sized balls. Turn on a medium to high heat under a suitable non-stick frying pan / Indian flat pan Tawa / Tava. 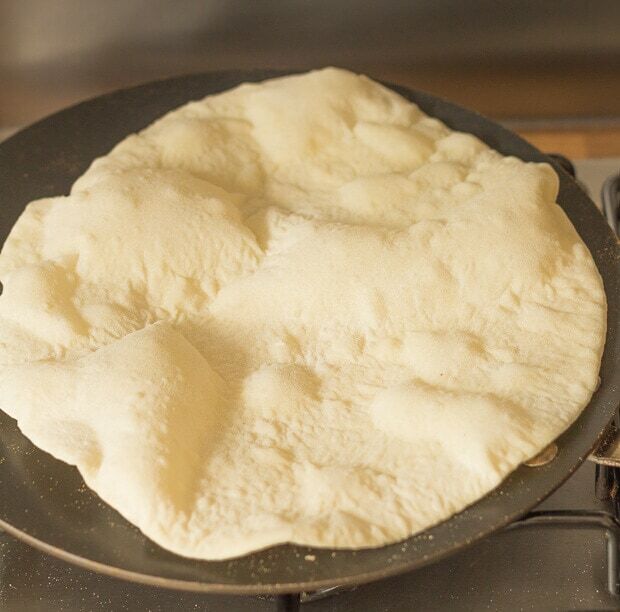 Roll out the home made naan bread dough to a circle shape, the same size as the bottom of your non-stick frying pan / Indian flat pan Tawa / Tava. Place the home made naan bread dough directly onto your non-stick frying pan / Indian flat pan Tawa / Tava and without any oil, cook on each side until puffed up and lightly browned. Repeat steps above until all the naan breads are ready. 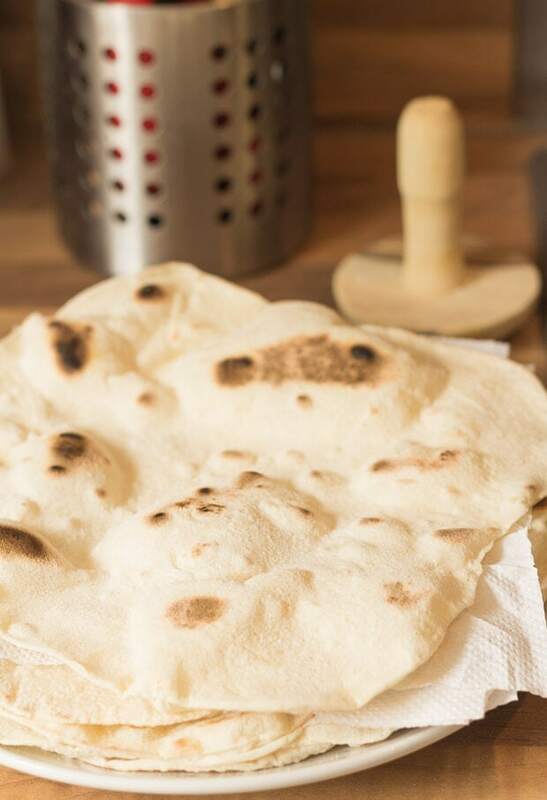 Lay each naan bread on top of each other, use a piece of kitchen towel to prevent them from sticking together. Then just quickly re-heat your curry and serve! You know, there’s a whole multitude of reasons as to why you’ll love this home made naan bread recipe. Here’s just a few of them! * There are only 131 calories per naan. * This recipe makes 6 naans so there’s plenty to go round! Easy step by step healthy home made naan bread recipe. A perfect accompaniment for your home made curry's! 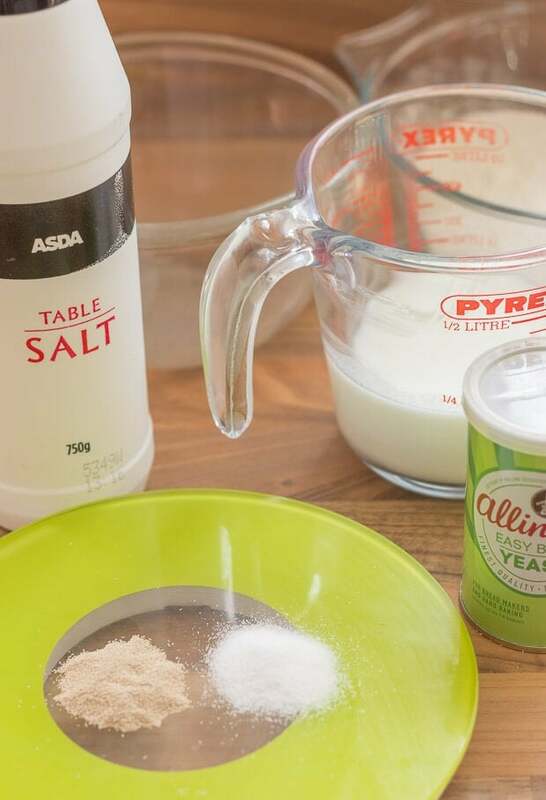 In a medium sized bowl combine the white bread flour and plain flour together. Mix the yogurt and warm water together in a measuring jug. Add the salt, the dried yeast and then the no fat yogurt / water mixture to the flour mixture. Combine in the bowl to a dough consistency. On a floured surface, knead briefly, for about one minute..
Flour a work surface. Roll the sticky dough out into a sausage shape and cut into 6 equal amounts. Roll these into balls. Heat a non-stick frying pan / Indian flat pan Tawa / Tava over a medium heat. 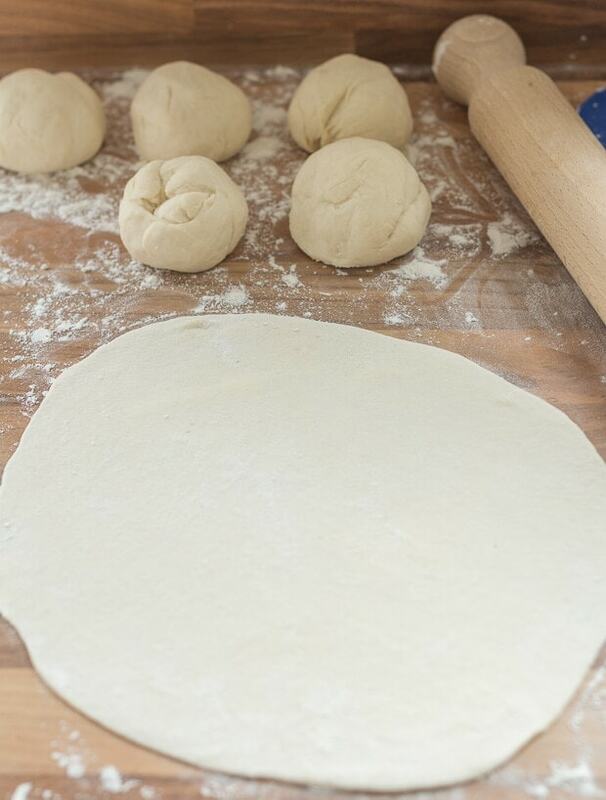 Roll one ball out using a rolling pin into a naan shape. Shake the flour off and put it into the pan. Cook one side until brown blisters appear underside then turn and cook the other side. Lay aside and cover to keep warm. Repeat the process with the other 5 balls. Folks I hope you’ll join me on Thursday for that new paneer and chickpea curry recipe I mentioned earlier! Oh, and don’t forget to subscribe if you haven’t already, not only for the curry recipe and our Cornwall adventures recap next week, but also more coming later this month on the 80/20 way. Including how you can use the 80/20 rule to sort out your finances to help ensure you have an income to live on in retirement. It’s amazing just how and where you can apply the 80/20 rule to make things so much better in your life! In order not to miss future updates and new recipes, make sure you’re subscribed to neilshealthymeals by adding your email* to the subscription list at the very top of this post or subscribe here. And you can follow me too via your favourite social media channels below. Naan bread is one of my favorites! Took me a few times to nail down my gf/vegan recipe, but I did get it to work! That sounds exactly like me with this naan bread recipe Rebecca. Once I’d perfected it, no other naan bread ever comes near it! Wellcome back Neil!!! So glad to hear you and Lady Lynne had a wonderful vacay! Cannot wait to see pictures from it soon! Now onto this naan bread, it is truly fanfreakintastic! I so love that theres no butter or ghee in these and they still look so light and fluffy! I cannot wait to give this a try soon! Thanks Shashi! Looking forward to sharing the Cornwall pictures with you! No problems there Susie, I find I get better results with this recipe if I use my stand mixer so you’ve got a start there. I remember when I was younger, my dad would order Indian Foods on Friday nights and before he could get into his take out order, I would always steal his NAAN! BAH HA HA AH AH! So friggin’ good! Ha ha! I love that. That’s just what Lynne would do too!